1) Live in a location that's close to mountains with the deepest snow. If powder makes you happy, you'll figure out how to accomplish this. We know that jobs, houses, kids, family, etc. might give you a good excuse to live far away from the mountains, and that's fine. But, if skiing deep powder makes you so happy that you can remember that one amazing day five years ago, maybe you owe it to your yourself to get to the mountains for the winter. 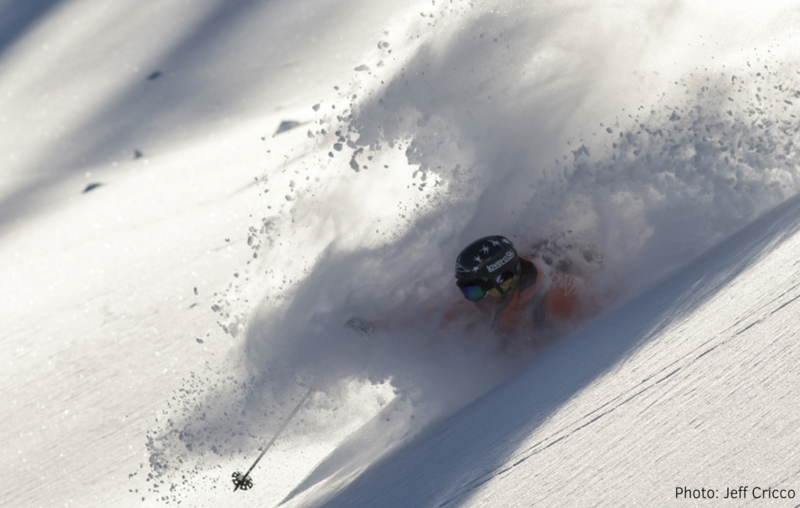 2) If you can't live close to deep powder, wait until 7-10 days before booking your trip. At that lead time, you'll know which mountains have a suitable base depth, and the 7-10 forecast is usually good enough to point you in the right direction. 3) Even if you wait until 7-10 days before booking your trip, consider only booking to a general area. Fly to a central airport, reserve a car, and chase (ie. drive many hours) to where the powder will be. This makes it possible to execute last-minute adjustments. 4) If you have to book a trip far in advance, pick locations that statistics show have the deepest powder. Buy Jim Steenburgh's book to learn a bit more about this. Small spoiler – Japan in January and February is tough to beat. 5) If you can't execute any of the above strategies, change your expectations for your ski trip. Focus on things you can control, like traveling with good people and finding unique activities that will be fun regardless of the weather (snowmobiling, skate skiing, brewery tours, backcountry touring). 6) Upgrade to OpenSnow All-Access which will give you access to 10-day forecasts (free users only see five days), time-lapse webcams to track powder as it accumulates, custom forecast alerts so you're the first to know about upcoming powder days, and you'll have an option to receive local Daily Snow Forecasts via email.